Chances are you've noticed the large number of leaping frogs (technically toads) crossing your path when you drive home in the rain. While frogs aren't as easily spotted during dry weather, the rain can be a natural attractant. Whether it's the cooler temperatures or the urge to mate, frogs certainly enjoy the rainy season. Toads love to come out in the rain because they prefer a wet, dark environment. After a steady rain, the area is usually cloudy, cool and moist. This means that the conditions are right for the animal to roam around without drying out. If you've ever handled a toad, you've probably noticed that it had wet skin. This liquid is secreted as a way to keep the animal cool and hydrated. If exposed to the sun or a dry climate for too long, the toad will dry out. Because the environment is right, toads often come out to mate after it rains. 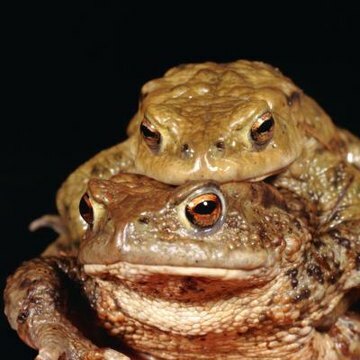 You may see plenty of toads bouncing around enjoying the weather and it's the perfect time to find the right someone to cozy up with for the night—or at least for a few minutes. During the rainy season, there will be a lot of breeding going on during the night, which means you may be apt to hear a lot more croaking. After it rains is also a good time to find a great snack. Earthworms are plentiful after a big rain and toads can easily munch away without having to work too hard. Plus, they can walk (or jump) around freely without worrying about keeping their skins moist. When a cool rain falls in the summertime, toads will come out to enjoy the cooling sensation of jumping in the puddles. The water can be refreshing, especially for toads who don't live near a body of water, such as a creek or pond. Instead of having to stay in a moist, dark area under your back deck, the toads can come out and enjoy the rest of the yard.